Those that are wondering, "how does stress affect health? probably are under too much stress. By the time you recognize that you are under a heavy stress load, it has probably already started to take its toll on your health. Because of the body’s natural responses to stress, which have not evolved much from the cavemen "fight or flee" reactions, our body undergoes chemical changes during periods of high stress. Today, we have different stress than cavemen that had to worry about surviving bitter winters and hunting food. While those were stressful events, some of the causes of stress in our lives today are part of everyday life for many people. Losing a partner through divorce or death, moving to a new location, changing jobs and financial problems top the list for stress causes. It’s no wonder so many people now wonder, "how does stress affect health?" During periods of heavy stress, the body releases some of the "fight or flee" chemicals such as adrenaline, cortisol and excess acids which all flow through our blood system and affect sugar levels, digestion, brain functions and most importantly, the immune system, which controls many parts of the body. All of the vital organs such as the heart, lungs, brain and digestive systems are adversely affected. Once your immune system is weakened by stress, it can affect every part of your body. The stress chemicals released into your system causes the immune system to spend all of its energy “fighting” to get things under control. You will experience high blood pressure, higher vulnerability to illnesses, possible hair loss, weight gains, muscle spasms, and digestive system disorders. Rashes, infections, memory loss, lack of concentration and lack of sleep are not unusual. The question, "how does stress affect health?" is one that can be answered by, "it can kill you". The causes of stress can be ongoing for a period of months or years. Many of those under chronic stress may not even realize it. It is not unusual for these sufferers to have serious symptoms, such as the onset of arthritis, heart attacks, cancer, diabetes, depression and suicidal thoughts. Because of the extreme chemical changes that occur on a consistent basis, these individuals experience the worst health effects that stress can dish out. More on the link between stress and rheumatoid arthritis. Take a look at the causes of stress in your life. These can be different for each individual, but may involve the loss of something beyond your control, whether it is a marriage, a job or a secure future. Stress can be defined as something you have no control over, at least in your own mind. Once you have determined the causes of stress in your life, you can better deal with them, either by avoidance, change of attitude or taking action to alleviate your reactions to the stressors. The thing to keep in mind is that the body’s natural defenses against stress were originally meant to protect it from physical harm. Chronic pain and illness causes the same symptoms as constant worry about the future or regrets about the past, as far as stress is concerned. Your mind goes into overload and causes the chemical reactions that are the same as the cavemen’s "fight or flee" reactions that they needed to survive. By alleviating stress in your life, you will start to lower your blood pressure, heart rate, your emotional state will improve and weight gains will subside. Your immune system will start to strengthen and side effects such as hair loss, rashes, infections and aching joints and muscles will subside. It’s important to realize "how does stress affect health?" in your own individual case, because everybody is different, to some extent. If stress is caused by the hustle and bustle of your daily life, you need to start eliminating the unnecessary tasks that you take on. If you have financial problems and have suffered job loss recently, you need to sell items, take on part-time jobs or talk to an attorney about bankruptcy. Doing nothing is not a good reaction to stress. Instead, you have to work hard to alleviate stress in your daily life. Because worry does nothing to change the situations causing stress, it is important to gain a sense of control over your situation in order to alleviate the stressors. 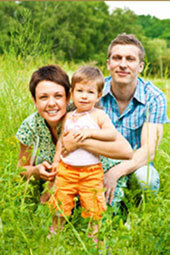 Consider taking advice of a holistic health coach. Since stress is largely a feeling of no control, by taking good advice and actions, you are taking a step in the right direction, as long as it has the goal of relieving the stress and not causing more of it.